Jodi McMackin is the Human Resources Business Partner for Eastern Canada with Miller Paving Limited, a division of the Miller Group, specializing in employee relations, talent and culture and strategic planning. Prior to this, Jodi was the Human Resources Coordinator with the Town of Riverview for over 9 years. Jodi holds the Chartered Professional in Human Resources Professional designation, a Bachelor’s Degree from the University of New Brunswick with a double major in Sociology and International Development Studies, a Post Graduate Advanced Diploma in Human Resources Management from the New Brunswick Community College and a Diploma in Occupational Health and Safety from UNB’s College of Extended Learning. Jodi is dedicated to the advancement of the human resources profession and pursuit of excellence in professional standards. Jodi joined CPHRNB in 2008 and has been an active member and representative on the Moncton Chapter Council and Provincial Council since that time. Jodi is currently expanding her service to the Association as the President of CPHRNB and will begin her service on the Board of Directors of CPHR Canada in 2019. 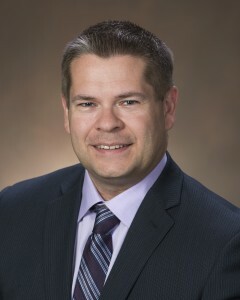 Jason Scarbro, CPHR, is the Director of Human Resources at St. Thomas University in Fredericton, N.B. Jason has led the HR Department at St. Thomas since 2006, and has previously led HR teams in a variety of manufacturing sectors since entering the Human Resources profession in 1999. 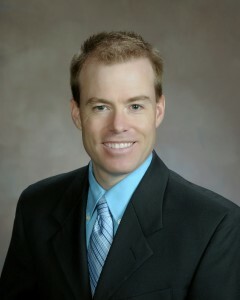 Jason completed his undergraduate work at the University of New Brunswick and received an M.A. in Clinical-Developmental Psychology from York University. He is also a graduate of the UNB/NBCC Human Resources Management Certificate Program. 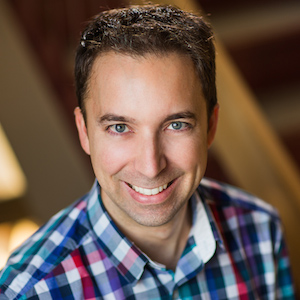 Jason has taught part-time since 2007 at both St. Thomas University and the University of New Brunswick in the areas of psychology, organizational behaviour, human resource management, and performance management. Emile Gallant is a seasoned manager and instructor with extensive experience in human resources, payroll and benefits administration and accounting within a unionized environment both in the public and private sectors. Emile recently retired from New Brunswick Community College after fifteen years as the lead instructor in the Human Resources Management program. Prior to NBCC, Emile worked for over twenty years at Marine Atlantic, a federal crown corporation, managing the payroll and benefits department. Emile started his career working for United Maritime Fishermen’s Co-op as an accountant quickly moving on to plant manager in Abram’s Village, PEI. Emile holds a Masters in Business Administration degree from l’Université de Moncton and received the Chartered Professional in Human Resources designation (CPHR) in 2002. 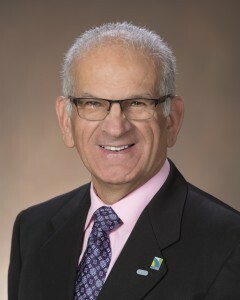 Emile has been very active in CPHRNB at both the provincial level and the Moncton Chapter, having served as chapter president for two terms, vice-president, and treasurer and is currently the past president of the Moncton Chapter. Emile received the CPHRNB Award of Excellence – Honorary Life Member award in May, 2016. He has also been recognized for his volunteer work with l’Association des Scouts du Canada; the Canadian Cancer Society; the Kidney Foundation of Canada; and the Knights of Columbus, Dieppe Council. He continues to volunteer in several organizations in both his community of Dieppe and within the province of New Brunswick. Rosalynn Alessi is a results-oriented, process-driven, and influential HR leader, who is passionate about people, community and the HR profession. 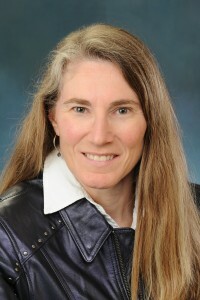 With experience in full-cycle recruitment, policy development and implementation, change management, benefits and HRIS administration, strategic planning, process development, performance management, employee engagement, and relationship-building, she helps organizations achieve success by motivating and empowering teams to reach their full potential. An advocate of life-long learning she is a graduate of the Certificate in Applied Human Resources from the University of New Brunswick and is working to obtain her Master of Business Administration as well as her CPHR Designation. Rosalynn has been involved with the Fredericton chapter of CPHRNB since 2016, and serves her community thorough extensive volunteer work with a variety of local and national organizations. She looks forward to contributing her skills to the development of the HR profession at the Provincial level. Nicole Belliveau is the Human Resources Manager at Assumption Life in Moncton NB where she has been employed for over 34 years. Nicole leads a strong team of HR and Payroll professionals who develop and deliver numerous strategic initiatives on behalf of the corporation from the salary and bonus structure, employee performance and hiring practices, as well as being a key person in corporate surveys and HR reporting at various levels just to name a few. A strong advocate for continuous learning and development, Nicole herself is a Chartered Profession in Human Resources, has obtained her Payroll Management Certificate from CPA and, is a certified Hay Group job evaluator as well as being certified with MBTI Psychometrics. 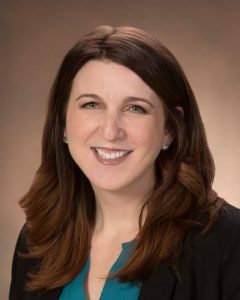 In the past, she has been part of a national review panel for the National Knowledge Exam (NKE) and has also served locally as a proctor for the NKE exams. She currently serves as a Director on the CPHRNB provincial Board, as Treasurer of the CPHRNB Moncton chapter as well as a board member of the SNBIEC-Southeast NB Industry Education Council. Sarah Jackson started her career in human resources as an occupational health specialist with experience in occupational rehabilitation, disability management, and workplace accommodation. Sarah has 15 years in the private sector with JD Irving, Medavie Blue Cross, and Bell Aliant before moving to the public sector. 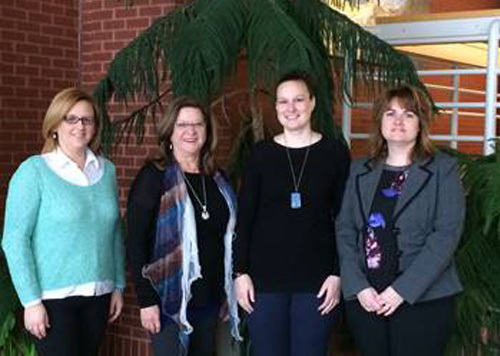 She has instructed the Occupational Health & Safety undergraduate course at UNB Fredericton and has presented at regional conferences on disability management. Sarah has a BSc in Kinesiology from Dalhousie University and a Masters of Business Administration from the University of New Brunswick. She also is a Chartered Professional in Human Resources. She has been a member of CPHRNB since 2008 and a member of the Saint John chapter executive since 2012. She is currently the President of the Saint John chapter. Coast Tire & Auto Service Ltd.
Shirley Mitchell is the Past-president of CPHRNB – Saint John Chapter. She also sits as Director on the Board of the Automotive Sector Council in NS. She is the Manager of Human Resources & Quality Systems for Coast Tire & Auto Service Ltd, an organization that operates in NB, NS & PEI. 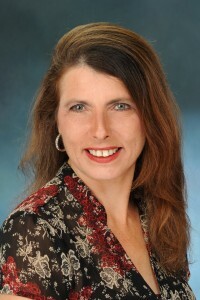 Shirley is a Generalist with 25 years of HR experience. She received her CPHR designation in 2002 and studied Business at UNBSJ. 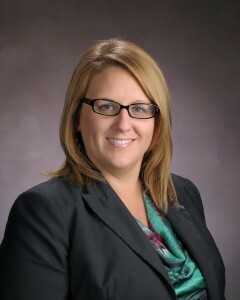 She has been involved with PSSC, Junior Achievement, Rally of Hope and the Business & Professional Women’s Club. She was also Sponsorship Chair for the 2012 CPHRNB Conference. Shirley has obtained a variety of knowledge, skills and experience being actively involved in an HR capacity in the automotive industry for the past 17 years. With operations in multiple provinces, she has worked with various government departments, colleges and non-profit organizations. She has represented Coast Tire on proposed legislative changes to the automotive industry and she has worked on initiatives to increase interest and enrollment in the trades with the NS Automotive Sector Council (ASC), the Canadian Apprenticeship Forum (CAF), the Automotive Industry Association (AIA) and Apprenticeship & Certification in New Brunswick. She is passionate about the work she does and enjoys being a strategic member of the Coast Tire team. Elizabeth O’Keefe, CPHR, CHRL, is the Human Resources Manager at AV Group NB Inc. in Atholville, NB. She has over 17 years of experience specializing in unionized mid-size manufacturing organizations providing guidance and leadership to senior managers. Her vast generalist experience includes compensation, benefits, training, employee development, workforce planning, full cycle recruitment, claims management, occupational health & safety, employee engagement and a specialization in labour relations. She has worked in various provinces and industries including automotive, food, pulp & paper and logistics. Elizabeth earned her Bachelor of Arts degree, certifications in Public Administration and Criminology from Memorial University of Newfoundland. She holds post graduate diplomas in Human Resources Management and Occupational Health & Safety from Ryerson University. She joined CPHRNB in 2012 and has been an active member of the North East executive team since that time. She serves on the Provincial Standards Committee and has served on the National Operations Panel for the construction of the National Knowledge Exam questions. 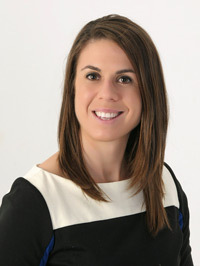 She has been a member of HRPA since 2001 and received her CHRL designation in Ontario in 2006. Elizabeth also volunteers on various local committees such as the Parent School Support Committee with the Anglophone North School District. 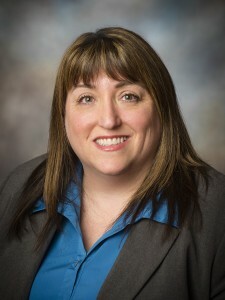 As a graduate of the University of New Brunswick’s Bachelor of Office Management program, Lori Orchard began her career in 1998. For Lori Orchard, people always come first. Throughout her career, whether she was working in customer service, accounting or human resources, Lori understands that people are at the true heart of any organization. With 18 years’ experience in progressively responsible positions her passion for Human Resources still rings true today! Lori is currently the Human Resources Officer at St. Thomas University where she manages her time in several areas of HR. Lori began volunteering with the Fredericton Chapter of HRNB as a Director-at-Large in January 2010. 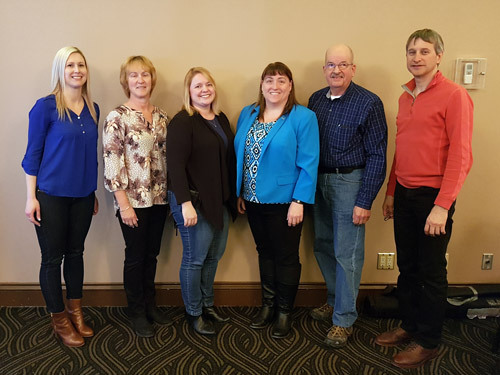 She became Chapter President in January 2016, a position that has created a vast opportunity for her to network and connect with an array of HR professionals from across the province. 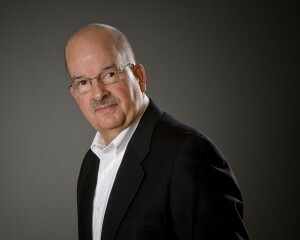 Pierre Simoneau graduated with BA in Industrial Relations (Université Laval 1979 – 1982) and a diploma in Business Administration in Personnel Management (Algonquin College 1968 – 1971). He has over 35 years of experience in human resources management, primarily as a Superintendent of Human Resources in the forest products industry in northern New Brunswick and the Gaspé Peninsula and as a HR Consultant since 2009. His experiences have enabled him to develop an expertise in coaching, in managing and coordinating programs for the development of employees, training, recruiting and selection and labour relations. He is known for his capacity to observe, detect and summarize, his strategic vision, his human values and his work ethic. Since 2009, he has been working with small and medium sized businesses and organizations to assist them with human resources issues. He has also been an active member of CPHRNB, holds the Chartered Professional in Human Resources designation and has served on the executive of the North East Chapter since its creation and also served as President of CPHRNB’s Provincial Council (2014 – 2015). Angela Sturgeon is the Human Resources Manager for Imperial Manufacturing Group with over 16 years of experience in manufacturing, contact centre and health care facilities. She has a vast knowledge of employee and labour relations, recruitment, retention, and disability management. 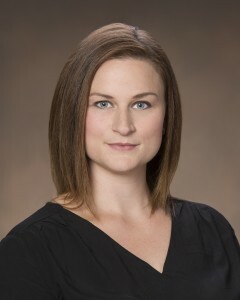 Angela has been an active member with CPHRNB Moncton chapter since 2001 and is currently the President of the Moncton Chapter for 2019-2021 term. She holds the Chartered Professional in Human Resources designation, a Double Major in Psychology and Sociology from Crandall University, and a Post Graduate Diploma in Human Resources Management from the New Brunswick Community College. She has served on the National Standard Setting Committee and currently serves at the National Level as member of the Item Writing Committee and Examination Panel for the National Knowledge Exam. Angela is also the Head Proctor for the National Knowledge Exam for the Moncton region. Marc Thériault has worked as a Human Resources Coordinator for the City of Edmundston for over 10 years. As a general practitioner, he is often called upon to participate in collective agreement negotiations, labour relations, staffing as well as compensation and benefits. He holds a Bachelor of Business Administration as well as a Masters in Management Sciences (human resources), from HEC Montréal. His involvement with the Chartered Professionals in Human Resources New Brunswick goes all the way back to the founding of the North-West Chapter in 2007, of which he is currently president. Fran does Corporate Privacy for Service New Brunswick, a crown corporation of the Government of New Brunswick. She is an active member of the Chartered Professionals in Human Resources New Brunswick, having been the President of the Provincial Executive from 2008- 2012. Presently, Fran sits on the Provincial Board as a Director-at-Large, and Chairs the Professional Standards Committee. She is also the past-President of the Fredericton Chapter of Human Resources. As the NB President, Fran represented the interests of the NB membership and the profession sat on the National Board of Directors of the Canadian Council of Human Resources. 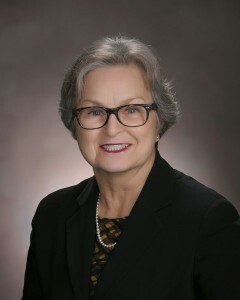 During her five years on the National board, she was Chair of the Government Relations Committee; Vice-Chair of the Human Resources and Compensation Committee; a member of the Standards Advisory Committee under the CCHRA; and, chaired a national task force established to look at the creation of a non-degreed designation in Human Resources. She also sat on the Board of Advisors of MedRunner Health Solutions, Inc., a health solutions company based out of Saint John, and was retained as their Chief Privacy Officer from 2010 until 2013. 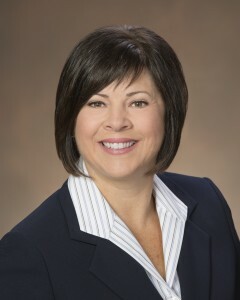 She has worked for the Government of New Brunswick since 1982 in a variety of non-bargaining and management capacities. Fran is retiring from the Government of New Brunswick in March of 2017, after 35 years in the public sector, and will pursue part-time privacy consulting. Fran holds an undergraduate Arts degree from Mount Saint Vincent University and a Masters degree in Education from UNB. She has held her CPHR designation since 2002, and received her certification in Human Resource Management from UNB in 2005. In 2011, she graduated from the Information Access and Protection of Privacy Program (IAPP), out of the University of Alberta. In 2015, she was granted the designation of CIAPP- Master Level, by the Canadian Institute of Access and Privacy Professionals. Luc Page was born and raised in Grand Falls, New Brunswick but has been living in Dieppe with his wife Monique and his two children Gabrielle & Samuel for more than ten years. Luc has over a decade of experience in a variety of areas, including marketing, member recruitment, business development, program management, and office management. He also has extensive professional and volunteer experience working with association boards and committees, including over four years with the Certified General Accountants Association of New Brunswick. Luc holds a Bachelor of Arts, a Diploma of Public Administration and a Master of Public Administration from the Université de Moncton. During his spare time, Luc likes to spend time with his family, read and play golf. President, Elizabeth O’Keefe, AV Group NB Inc.
Director, Kathie Hickey, Home Depot of Canada Inc.
Director, Melissa Thornton, Capital Foodservice Ltd.
Director, Vanessa Landry, Crandall Engineering Ltd.
Director, Professional Development, Mary Stack, OPTIONS Employment Outreach Inc.
As President of the Chartered Professionals in Human Resources of New Brunswick, I am honoured to serve our membership and work in partnership with the CPHRNB staff, Provincial and Chapter Councils in the advancement of the human resources profession. Human Resources Professionals play a crucial role in the economic and demographic sustainability of our province through people and business leadership. 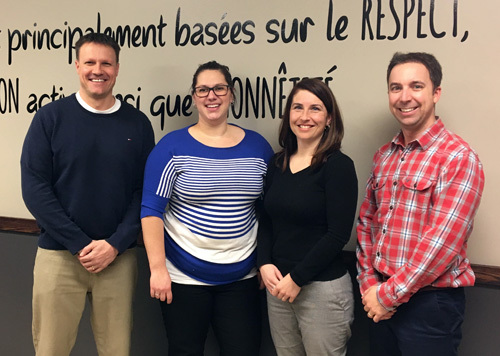 CPHRNB will continue to represent New Brunswick’s HR professionals as leaders in talent, culture and business; foster positive relationships to share expertise; and provide opportunities for continuous learning and growth. 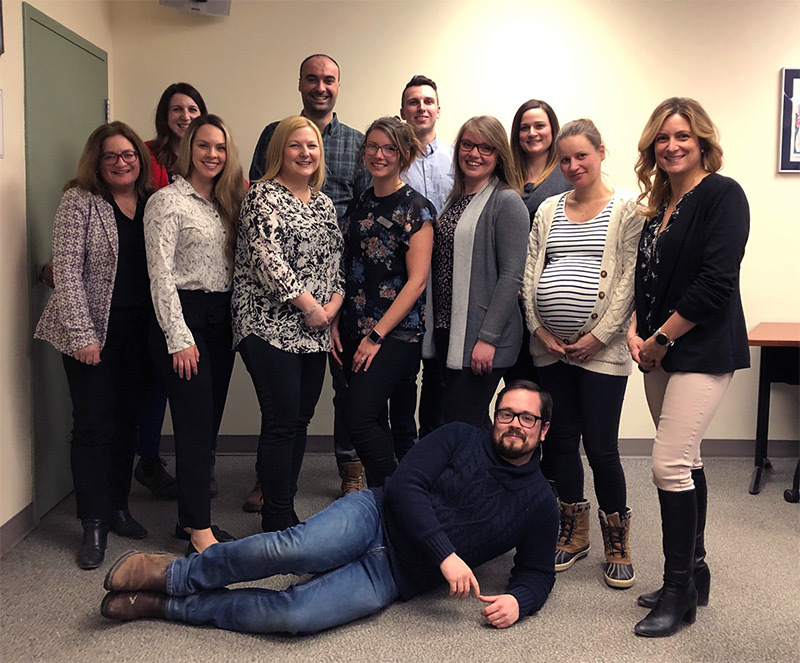 The CPHRNB Board of Directors and staff thrive on the participation and feedback of our members and welcome you to reach out with ideas for improvement.